Machu Picchu is one of the main tourist attractions worldwide. Today, it is possible to purchase the ticket online. In this way, anyone in any part of the world can get their ticket. But, how safe is booking the ticket through the internet? By what means can I acquire the Ticket Machu Picchu? Is it safe to acquire the Ticket Machu Picchu online? How to verify that a web page is authorized to sell the ticket Machu Picchu? How to identify a fake Machu Picchu entrance? What is the reservation code and how to check the authenticity of the ticket online? What is the safest way to pay for the ticket Machu Picchu online? Which website to choose to book tickets Machu Picchu online? At present, the main method to obtain the entrance to Machu Picchu is the internet. To do it in person is only possible in the city of Cusco. The ticket Machu Picchu has high demand. The internet has the advantage of being able to make the reservation in advance. He can not wait to get to Cusco to do it. The ticket to the mountain Huayna Picchu has to be reserved with a lot of time in advance (from 2 to 3 months before). It is not possible to acquire it in Cusco, a few days before the visit. Booking tickets online helps to plan the trip better. Once the date of the visit to the Wonder of the World is known, it only remains to organize the train, bus, plane and additional tours. Yes it is safe, but like everything on the internet, you always have to be careful. You must verify that the web page or application is reliable. Verify that the website or online service that offers tickets Machu Picchu has the Internet’s own security parameters. But above all, the website must belong to an agency authorized by the Peruvian authorities to issue and market the ticket Machu Picchu. To verify that a web page is authorized to sell tickets Machu Picchu online, follow the steps below. Enter the official website of the Ministry of Culture of Peru. Click on the ‘Queries’ tab. Click on the ‘Agencies’ section. In the section ‘Archaeological Center’ select the option ‘Machu Picchu’. Select the means to search the agency: code, company name, address, telephone, etc. If the agency is ‘authorized’, be careful, be in a safe place. Have a reservation code printed on the entrance. To check the validity of this code, enter the numbers on the official website of the Ministry of Culture of Peru. Possess printed the basic data of the visitor as well as the type and number of identity document with which it was registered. Possess printed the type of entrance Machu Picchu chosen (Huayna Picchu, Mountain, Museum, etc.) as well as the time or group chosen for admission. The reservation code is the reservation number of an authentic ticket Machu Picchu. All valid entries must have one. Click on the ‘Check-In’ tab. Enter the reservation code number printed on your ticket. Next, you should show the tickets purchased with this reservation code. Follow these steps to verify security at a Machu Picchu ticketing website. It’s safe – In the upper left part of your screen (in the padlock symbol) check that the website is “safe”. If the web page says “It is not safe”, better look for another website. Authorized – In the lower part is the name of the agency that owns the website. Check the validity of the agency on the website of the Ministry of Culture of Peru. Contact us – All authorized agencies to sell the Machu Picchu entrance must have their own premises. Check the means of contacting the website. 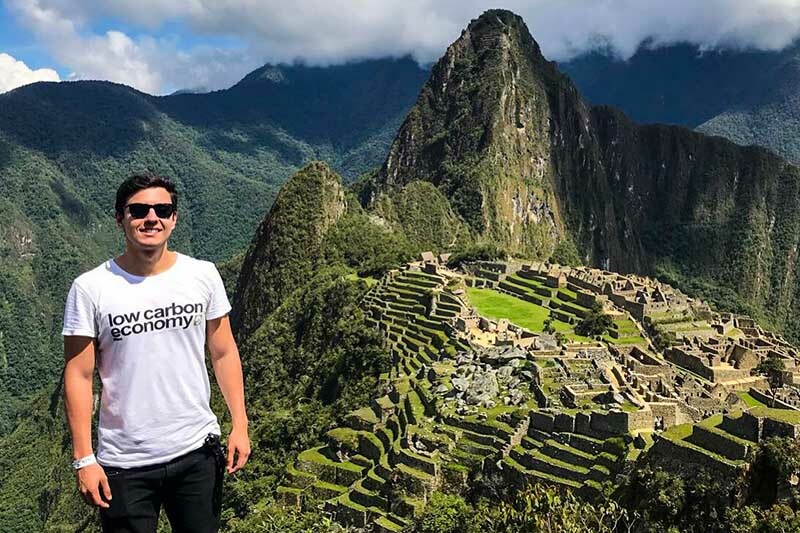 TripAdvisor – In forums of travelers from around the world (like TripAdvisor), check the comments and experiences of other visitors who booked their tickets Machu Picchu with a certain travel agency. The payment methods depend on the website where you book the ticket Machu Picchu. The official website of the Ministry of Culture of Peru, for example, only accepts ‘Verified by Visa’ cards. To associate the Visa card with this service, you must contact the bank that issued the card. At boletomachupicchu.com any type of Visa, MasterCard or American Express card is accepted. You can also do it through Western Union or a bank transfer. The payment methods are easy, fast and, above all, safe. This method of online payment accepts any type of Visa or MasterCard. The transfer of money lasts a few hours. Throughout the process, the bank details remain private. This payment method is one of the most widespread in the world. You should only go to the nearest Western Union agency and pay the ticket Machu Picchu. With the payment voucher you can see the tracking of the money sent. From anywhere in the world you can make a transfer of money to the International Bank of Peru (Interbank). You should only go to the bank of your preference and make the payment with the ticket Machu Picchu information. Which website to choose to book entrance Machu Picchu online? There are several websites that offer the sale of the ticket Machu Picchu. The website of the Ministry of Culture of Peru is the official website for ticket sales to Machu Picchu through the Internet. This site only accepts ‘Verified by Visa’ cards as payment methods. Boletomachupicchu.com is the number 1 website selling tickets to the Wonder of the World. The payment methods are the easiest. In less than 24 hours, the tickets arrive in PDF format to your email. He prints them and presents the day of his visit. Boletomachupicchu.com is a web platform that gives you the option to make your Machu Picchu booking reservation easily, quickly and safely. Our platform has all the Internet security measures so you can safely navigate it. We have SSL security certificates for the protection of your data, with which the transfer of your information is completely secure. Boletomachupicchu.com is a brand of Machu Picchu Terra, travel and tourism agency that is duly accredited and authorized by the Ministry of Culture of Peru. Our platform not only allows you to book your ticket. It is also a great source of information about Machu Picchu. We have numerous articles and guides that will help you to clear all your doubts about the trip to the Inca City. We have multiple means for you to contact us. Visit our contact section to see all the ways you can communicate with us. We are the most recognized website in the sale of electronic tickets to Machu Picchu. Our thousands of clients have positioned us as the most valued and reliable website in the internet for the acquisition of the ticket.